Do you travel with your dog in the vehicle often? I do, and I love it. Well, I love being with my dogs and they enjoy riding, but I don't enjoy the dirt and dog hair all over my car. This Hammock Car Seat Cover for Dogs from MIU PET solves that problem and makes riding with your dog even more enjoyable! I have traditional seat covers on my car. They aren't the best quality, but the keep the dirt from the dogs and the kids off the upholstery. I thought that was enough before I tried this product, but I quickly realized there was a better alternative. I was very impressed with this product and am happy to report that it is an essential travel product in our vehicle now. It keeps the upholstery clean and dry, plus it's very easy to install. My dogs love it, which makes me a happy Mom! This seat cover is 62 inches long and 56 inches wide. MIU PET says that it will fit in the back seat of most cars and SUVs. As you can see in my video, it fits in my Ford Escape and could easily fit in a vehicle much wider than mine. It's made of a polyester material that is completely waterproof. Trust me, we've tested this quality many times, and this hammock style dog car seat cover will keep your upholstery completely dry. As I explain in my video review, our chocolate lab, Saddie, loves the water. We can't keep her out of it. Saddie has jumped into my SUV soaking wet on multiple occasions and even after a ride home of more than 30 minutes, the seats were completely dry under this cover. As soon as you take this product out of the packaging, you'll instantly notice the quality and durability of the heavy duty material. It's well made with strong stitching. I have no doubt that this seat cover will last for years to come. The waterproof backing is a great feature, and MIU PET says that the polyester material on the top of the cover is wear-resistant. I also like the flaps that protect the sides of your seats. My dogs would often get mud and dirt on the sides of the seats while jumping into the car before we had this car seat cover. This product is also equipped with two convenient pockets, which you can see in the photo above. They aren't big, but there is plenty of room to store your dog's leash, toys, treats, travel bowls and any other items he may need while traveling.One is open at the top and the other zips closed, which is ideal if you're storing and treats or food that your dog may be tempted to get into while you're driving. Another great feature is the Velcro openings for seat belts. You can easily access the seat belts, but the Velcro closure allows you to keep them out of reach when not needed. This is ideal if you have a chewer. You won't have to worry about struggling to install the Hammock Car Seat Cover for Dogs from MIU PET. They have designed it for the most user-friendly installation imaginable. There are four reinforced, adjustable straps with clips – two on each side. Two of these clips go around the head rests of the front seats and two go around the head rests on the back seats. Another great benefit is that this seat cover blocks the gap between the two front bucket seat in my SUV, making it impossible for our dogs to climb into the front of the vehicle. You can easily pull the straps to adjust them for any size headrest. There are also thick plastic seat anchors located on either side of the cover. These can be quickly stuffed in between the top and bottom of the seat to keep it from sliding around while your pooch is going for a ride. The only downfalls that I see with this product are (1) that the clips are made of plastic and (2) it isn't machine washable. However, neither of these issues is a deal breaker. The clips are still very durable, I just personally prefer metal hardware on the products that I buy. This seat cover may not be machine washable, but it's easily cleaned. All you have to do is wipe it down with a damp cloth and hang it up to dry. At just $39.99, this product is very affordable. You won't find quality like this in any cheap bench seat cover on the shelves of a big box store. While they are a custom fit for your vehicle, seat covers of this quality usually run well over $100. Have you tried this product with your pets? If you've used the MIU PET Hammock Car Seat Cover for Dogs in your vehicle, I'd love to hear your personal opinion. Did you find it as helpful as I did? It's okay if you didn't. I want to hear about that too. 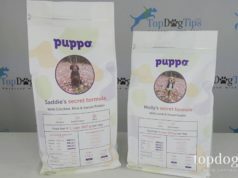 By sharing your opinion, you'll be helping other dog owners who may be considering purchase this product or one like it. This waterproof hammock car seat cover for dogs comes in handy if you frequently travel with your dog. It keeps dirt and debris off of your upholstery and makes cleaning out your vehicle a breeze. Next articleDog Shock Collars Controversy: What Do the Experts Say?